What is your favorite workout? This weeks question was very exciting to see because of the various different responses from our forum members. Learn more about what they like to do. TOPIC: What Is Your Favorite Workout? Overall, what is your favorite workout? Why? What made this workout become your favorite? Do you enjoy this workout because of the results, or because it is more fun to do? Bonus Question: What is your favorite ab workout? There are many workouts out there. Mine is really "just another approach." I want you to keep that in mind as you read. In this article I will provide a sample training routine, the reasons and theories behind it, discuss enjoyment from training as well as provide two sample ab routines. Please read on. Before I go on, it isn&apos;t like this program I&apos;ll provide is the "only one," or that it can&apos;t be manipulated in anyway to suit your needs. There are many ways to construct programs; this is just an example of one "holistic" program I created. Supersets don&apos;t suit everyone. If you&apos;re one of those who finds they decrease your training intensity, just leave them out. But be sure to maintain the order of exercises, as they are ordered in way to prevent fatigue. Note: 2 sets = 1 superset. Click Here For A Printable Log Of Wednesday: Abs. Barbell Shrugs (close- and wide-grip) superset with Incline Shrugs. Click Here For A Printable Log Of Thursday: Delts/Traps. Seated Incline Dumbbell Curls superset with Tricep Pressdowns. EZ Bar Preacher Curls superset with Dumbbell One-arm Overhead Extensions. Close-grip Bicep Pullups superset with Cable Kneeling Tricep Extensions (against a bench). Hammer-grip, Dumbbell Concentration Curl superset with Cable Kickbacks (shown with dumbbell). Click Here For A Printable Log Of Sunday: Arms. Everyone responds differently to training; some prefer to keep reps per set low, such as 6, whereas others can get gains from as high as 20 reps per set. So I recommend using a rep range that you respond best to. I like to get the best of both worlds. I alternate weekly between low, medium and high reps. One week I&apos;ll choose a rep range that allows for strength, say 6, followed by one week that&apos;s more hypertrophy oriented such as 10 reps, followed by a lighter, but intense 14 rep week. Pyramiding reps is another idea that will hit all your muscle fibers in the one workout. For example, with 3 sets, I&apos;ll have a 14, 10, 6 rep scheme, going to failure on each set. What Made This Workout Your Favorite? There&apos;s no doubt in the fact that compound movements such as squats, deadlifts and bench presses are the number one choice for building mass, whereas isolation are the better option for targeting a muscle, and sculpting some nice definition. The routine contains the right degree of each, enough compounds not to neglect growth, but not too many that we neglect the sculpting benefits of isolation movements. The routine contains a nice balance of both, so we get the additional isolation benefits from machines, as well as the recognized strength and size benefits of free weights. 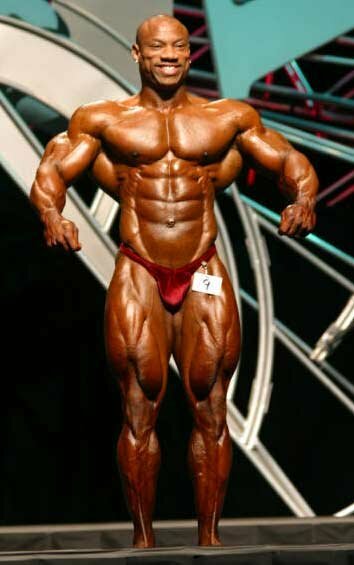 Symmetry is becoming an increasingly popular term being thrown around bodybuilding circles. Although symmetry is largely genetic, if you want a physique that is well-balanced, muscle groups need to be trained equally. This routine includes more volume for bigger muscles groups such as back and chest, somewhere in between for delts and less volume for biceps and triceps. Each workout has been specifically designed to include equal amounts of exercises to target each head of each muscle. This means as a whole, the muscle will be well balanced. There is also a balance between type of movements; such as presses and raises for delts or rows/pulldowns/extensions for the back. Together, this creates a routine that doesn&apos;t ignore any muscle groups or over-train others. Although some may argue that all exercises will have a very similar affect on the same muscle, all you need to do is look at the bench press as an example of how changing angles and grips will shift tension from one area of a muscle to another. The standard flat bench press will hit the middle-lower parts of chest, whereas when you increase the incline, the upper regions of the chest become more involved. Covering All Grounds: Size, Symmetry, Shape & Definition. This routine is holistic - it includes many training methods and sort of brings them all together. As a result, it covers all grounds in the one workout. Bodybuilders need to make sure they have the whole package, not just one aspect, and I think this program helps cover all grounds. The routine contains a good degree of heavy, free weight compound movements. Solid compounds exercises allow you to go heavy, they recruit more than just the target muscles and stimulate twice the hormonal response of single-joint movements. Although size will get so far in this sport, without a nice, symmetrical physique, you&apos;re likely to get nowhere. Symmetry is the result of a balanced routine more than anything else, and this routine hits all muscles and heads of each muscle equally. Symmetry: Why It Is Important, & How To Achieve It! Developing a symmetrical physique entails focusing on all muscle groups equally through the employment of a variety of exercises. In bodybuilding, the emphasis should be placed on developing a balanced physique. Often mistaken with symmetry, shape refers to the actual construction of the muscle, whereas symmetry is how the body looks as a whole. If you decide you to use several training principles that go hand-in-hand with this routine that I will explain later on in this article, your chances of superior shape will be enhanced. Providing your body-fat is low, this routine can really show up nice definition or "cuts." As it based around supersets, and includes a degree of sculpting, isolation movements on top of compounds, it should lead you to that right balance between being big and cut up that most of us are looking for. Changing Cable Attachments: Single Attachment, Ropes, Angled bars, V-bars. Free Weight Changes: Choice of dumbbells, barbells, EZ bars. Changing Grip-Widths: close-medium-wide grip, hammer or underhand grip, as well a change to supination or twisting wrists. The program encourages a well-balanced physique, and using proper form will compliment the benefits. Try and aim for a full range of motion on all movements. Try and contract at the top of each rep as well. Using good form will ensure you get the most out of each exercise. Training one body part per day, such as the sample program provided, really encourages you devote all your attention to that one body part. Using dumbbells also encourages an awareness of your body due the need to stabilize. Establishing a muscle-mind connection is amazing; it will not only do wonders at maintaining your pump, but when you can use the power of your own mind, all sorts of signals will be triggered off in your CNS. Training slowly will stimulate your muscles in a completely different way; to get the benefits of both slow and fast paced training; I recommend a balance between the two on the positive phase. I alternate between slow, medium and fast paced weeks. The eccentric portion of every movement should always be slow and controlled. I recommend a base of 3 times per week on top of this routine. Cardio should be for at least 20 minutes per session on non-training days. How much cardio is largely individual; a lot of us find even the smallest amount of cardio will halt our gains, whereas others do it daily and still grow like weeds. I will tell you though that cardio can really increase the intensity of weight training workouts by increasing your endurance. I recommend you experiment with cardio, but never do less the base level needed to maintain fitness. Both are very important. You have to enjoy what you&apos;re doing, yet at the same time if you&apos;re not getting results, it&apos;s pretty much pointless. There are many challenges you&apos;ll come across while training, and to tell you the truth, bodybuilding isn&apos;t easy. In terms of this workout, to be honest, I dreaded it at day one. It felt like a chore, just like going to work. But that feeling is just temporary, like pre-game anxiety. But when the lights turn on, you&apos;re ready to go. The results are what I think creates most of the enjoyment. It&apos;s when I see myself in the mirror when I get home from a workout and notice that my triceps are more developed, or that my upper chest has filled out. The feeling is great; and the best thing is, I&apos;m getting results, and enjoying my training too. I hope you can find that balance too. What is your favorite ab workout? Training abs shouldn&apos;t be too much different to training other body parts. This means the same amount of rest, and also the need for resistance in order to stimulate the muscle enough. There are many methods available to train abs. Because we are all on different routines, here are two different options that might suit your training preferences. Split: 1-2 times weekly, on off days. Click Here For A Printable Log Of Low Volume Ab Workout. This routine is ideal for those who are on a HIIT, or low volume routine. It uses heavy free weight movements that will complement the other heavy lifting associated with this type of training. Click Here For A Printable Log Of Medium Volume Ab Workout. The essence of this program lies it&apos;s the fact it doesn&apos;t neglect training abs with resistance, yet it also adds in additional bodyweight exercises to further sculpt the abs. Exercises are ordered specifically to prevent fatigue, alternating between both crunches and leg raises, and targeting different portions of the abs. Personally, I find tri sets and giant sets ideal for the abs because they are a muscle group that recovers quickly, and doing 15 sets with a lot of breaks can end up taking too long when you also have to consider training other body parts. I hope this article has encouraged you take a more holistic approach with your training; follow whatever guidelines you think are suitable, and may that ideal physique you&apos;ve always wanted be yours! My favorite workout is a lot different from anybody here at the Bodybuilding forums. Mainly because I am powerlifting oriented; I am achieving the goal of lifting the most amount of weight for one repetition in the bench press, squat, and deadlift. Bodybuilders have their own specific workout for their goals to achieve maximum hypertrophy (size) gains. Many people seem to be stuck in a rut in the bodybuilding world of training currently and aren&apos;t opening their eyes to anything new. Well the methods of training I like are a whole new thing to bodybuilders for the fact that it&apos;s for strength-specific purposes. Bear with me now, these methods have stood the test of time and have created many great powerlifters trained under the watchful eye of Louie Simmons of Westside-Barbell. My favorite workout is the conjugate periodization methods also known as Westside methods. These methods have been some of the best working pieces of the puzzle to get myself to get a lot stronger and add some mass onto my frame. The methods can be changed up for bodybuilders though as well, because there are three methods of conjugate periodization. The first one is the max effort method (to develop maximal strength). The second is the repetition method (used for hypertrophy reasons because a bigger muscle is a stronger muscle). Lastly the dynamic method (to develop the speed of the lift to improve your strength). The methods can be changed up for a bodybuilding to a powerlifter, which offers a lot of variety making for a training method that works. It also is planned out to help with general recovery and CNS (central nervous system) recovery. Training the max effort exercise to a one-rep max every week sounds like a strain and it is, but all the supplemental and accessory work is not done to failure, but with a few reps left in the tank. This will boost recovery because you&apos;re totally destroying the muscle like you would going to failure. So far I have been doing Westside-Barbells methods for a little over three months and have gained about roughly 120 pounds on all three of my lifts along with an extra 15 pounds of mass on also. The gains have been very great and in large amounts without having any negative side effects or injuries. This workout became my favorite just because of how well the whole thing fits together. It works and that&apos;s one thing you want to aim for no matter what your goals are. The gains from the methods were very great and in large amounts without any injuries or getting sick during the time. This workout is great for people who want challenges in their lifting program; this would be perfect for those individuals. Hitting new personal records every week, is always a great way to push yourself the extra limit. It also has a lot of variety for those who get bored of what they&apos;re currently doing. With Westside you change up exercises every 1-3 weeks and you never get tired of the lifting. And there are also a lot of lifts to learn about and get to try out. Over hundreds of exercises not spotted by the bodybuilding population are just floating around waiting to be used and they&apos;re great exercises. I enjoy this workout because of the results and the variety you get with it. Switching up the exercises every few weeks keeps your body moving without burning out your CNS and giving some new flavor to the workout. The results have been good with the basic methods, and with a repetition day for bodybuilders the results are also very good. Joe DeFranco&apos;s Westside modification has been one of the most well-known programs for bodybuilders and athletes. The hypertrophy gains for many have proven very good along with proper nutrition. It is also challenging for those who like to challenge themselves day in and out to achieve their potential. What is your favorite abs workout? Honestly I never really had a favorite abdominal routine. I just always kept it basic and heavy cause that&apos;s really all you need. Doing some heavy pulldown abs at the pulldown station with a rope and your good for 5 sets of 10-to-15 reps. And adding in some straight leg raises for 5 sets of 15 reps is good for building the lower abdominal muscles and making them stronger. Another one you can try is a day with an abdominal circuit of 4-5 exercises circuited together with no rest in between and for variety. Then a day following it for some heavy exercises for the abdominals and oblique&apos;s to help a physique along with low body fat percentages. Keep it simple and heavy and you&apos;ll be on your way. Abs ... everyone wants them, not many have them. Here I am going to introduce you to the full ab workout routine. With a balanced diet and this routine there is no reason you cannot get the abs you want. It is important to be able to enjoy a fitness program in order to stick with it. This is the only way to maintain results and continue to make improvements. If I hated going to the gym like some people, then I would be doomed from the start. Luckily, I enjoy the time I spend at the gym. It is actually my favorite part of the day. There are several factors that contribute to making certain gym experiences even better than the rest. These can include no time restraints, having a motivated workout partner, and simply performing the activities and exercises that I enjoy most. My favorite workout is definitely a workout I can enjoy on my day off from work and school. Having to hurry through a workout while keeping tabs on the time can make me feel rushed and even stressed. When I have the entire day to do as I wish, I can perform the exercises that I choose at a pace that I can enjoy. Having a buddy that&apos;s able to devote an equal amount of time to the gym always makes for a better workout experience. Being able to talk about exercises and supplements, and even joke around a little bit in between sets, makes the workout that much more enjoyable. In addition, having an experienced spotter to help you pump out those last couple reps will make for a more safe and effective workout. Working out when the gym isn&apos;t super crowded always makes for a favorite workout as well. Warming up for a workout can actually be enjoyable! After the time spent on treadmills and other cardio equipment during cardio days, that is the last place I want to be during a lifting day. I like to warm-up by kicking a soccer ball on the racquetball court with a buddy or alone. Punching a heavy bag or jumping rope are other warm-ups I enjoy. Click Here For A Printable Log Of Liquid_diet&apos;s Favorite Workout. I like to perform a 10 second "negative" when lowering the weight after my last rep on the last set of each exercise. Not only is it highly effective at fatiguing additional muscle fibers, but its challenging. It&apos;s also pretty funny to hear some of the things that will come out of a workout partner&apos;s mouth when they&apos;re trying to motivate you to hold up the weight without them helping you too much. I came to enjoy this Chest/Tri workout for several reasons. I&apos;ve always enjoyed the "pushing" exercises associated with chest and triceps more than the "pulling" exercises associated with back and biceps. I also enjoy the more "primitive" feel of free weight exercises instead of using machines. After doing the standard bench press, it&apos;s always fun to change it up for a few months. Dumbbells force me to focus on good form and equal distribution of the weight to both arms. I can always throw a little more weight up from a decline position, and I can watch my form in the mirror when on an incline bench. I also like that I can go with a relatively heavy weight with the number of reps I choose to perform. My pecs and Tri&apos;s are always pumped at the conclusion of my workout. I am definitely pleased with the results I have achieved with this workout, but mainly it is fun to me. Everyone enjoys certain exercises more than others, and these are my choices. Getting results and lifting heavier and heavier always adds to the overall fun of the extended gym experience for me. I like to keep my ab workout short and effective, as I usually exercise my abs at the end of my other workouts 3 times a week. I try to vary the exercise each time I do abs in order to avoid boredom and my abs adapting too quickly. My favorite workout hits both the upper and lower abdominals. I like to perform a "combo set" of ab exercises without rest. I do 25 Crunches, immediately followed by 25 Supine Leg Lifts, and finishing with 25 "V" or "Jackknife" sit-ups. If my abs aren&apos;t burning too much at this point, I will hold my legs and head slightly off the ground for about 15 seconds to finish the job. After a 2 minute rest I will perform a Prone Elbow Hold for 1 minute, followed by a minute rest and then another 1 minute Elbow Hold. The burn is most unbearable at this point, but the abs are done and I can enjoy that feeling of completing my workout and look forward to coming back to the gym soon. Click Here For A Printable Log Of Liquid_diet&apos;s Ab Routine. After spending the last five years or so doing my exercises low volume with a specific rest period between every set (typically two minutes, occasionally periodizing with short rest period work), I recently stumbled across a simple variation that has re energized my workouts and got me charging through a nasty plateau. This workout protocol is applied to all body parts so I&apos;ll treat the whole workout week as one workout. "Heavy weight, lower reps and long intervals between sets emphasize strength and power whereas lighter weight, higher reps and shorter rest periods emphasize muscle growth." With this in mind I set about creating a workout to combine these elements and come up with a more efficient way to build my body, i.e. faster, better results in shorter time. After I conceived the plan I wondered why I&apos;d never thought of it before; it&apos;s hardly revolutionary but at the same time I find it devastatingly effective! I won&apos;t list the exercises I do as they are not the point of this writing. I will say this though: I&apos;ve figured out during the years the exercises that work best for me, I expect you&apos;ve done the same. This workout is really aimed at the advanced bodybuilder. In my opinion beginners can make impressive gains with straight sets and rest periods; save the advanced techniques for when you plateau later, otherwise you&apos;ll have nothing to turn to in times of need! What Is The Best Way To Break A Plateau? You have been working out for awhile now and your family and friends have taken notice. Motivation is up and you are making serious gains. Then all of a sudden you hit a wall and the gains disappear. First up strength and power are the goals while I&apos;m fresh and strong and energy is highest from the meals I&apos;ve been clocking up during the day. This is achieved by heavy weights and rest periods of two minutes, timed to the second. For a given body part I&apos;ll do two exercises in this fashion, four sets of each (rest between exercises for all workouts is constant at two minutes) and going as close to failure on each set as I can on my own. For these exercises I&apos;ll aim for 8-10 reps.
Now for the twist. The next two exercises are aimed at muscle growth via high intensity work, that is: short rest periods, serious pumps and the associated growth hormone and testosterone release due to the build-up of waste products in the muscles (try saying that fast three times). For me this entails trimming the rest between sets down to one minute at the most and aiming for 10-15 reps. The pump is sweet! It would appear that this is an insane amount of work and could easily lead to overtraining but not so. An entire workout done in this fashion, with strictly enforced rest periods, typically lasts 40 minutes for single muscle workouts and when pairing muscles about an hour. Please note that you need to split the body up so you train no more than two muscles at a time. I cover the whole body once every week. Also for smaller muscles I&apos;ll knock a few sets off so in total end up with, for instance biceps, 12-14 sets in total. So the reason this is my favorite workout? After years of the low volume approach with ever stagnating gains, this high volume, twin rest period workout has really got things moving again and the results are coming fast and strong. As such I enjoy this protocol because of it effectiveness and because it&apos;s a real blast to perform (anyone remember the quote a certain someone made comparing the pump with coming?). Not only the pump either but the strength work is very satisfying too. Who doesn&apos;t love to see their strength go up week by week? There&apos;s nothing quite like ripping into the heavy weight with maximum energy at the start of a workout. Now, the shocking truth! I don&apos;t work abs. I think it&apos;s totally redundant and I&apos;ll cite the old cliche of "they get plenty of work in the big multi-joint free weight exercises" because it&apos;s true! I recently dieted down so I could see my abs and they were just as defined and shapely as my friend&apos;s who trains abs like a madman (we both had similar body fat percentages). Perhaps I&apos;m just lucky with genetics, but I tend to think that no one needs to train them. I&apos;m perfectly open to proof though. Get me a picture of a man who never trains abs, at say 6% body fat, then get him to train abs for a year and take another picture at the exact same body fat percentage and we&apos;ll see. 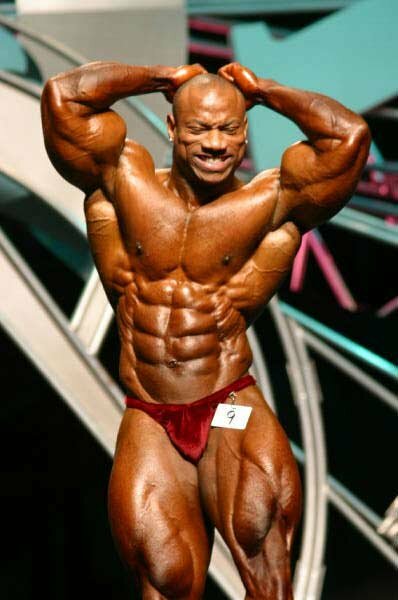 On thinking about it, how about Dexter Jackson? He never used to train abs, now he does. I&apos;ve seen comp pictures of him before and after and I don&apos;t believe it&apos;s made a tangible difference. His abs were superb before and they still are. 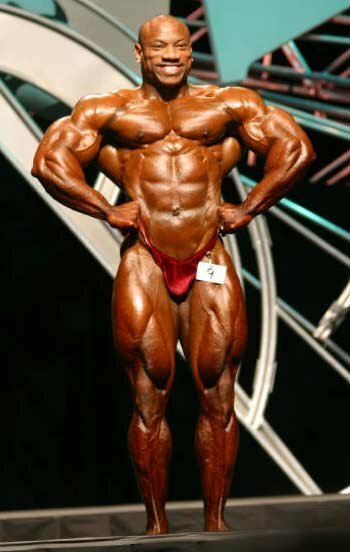 Dexter @ The 2003 Mr. Olympia. So I have to say my favorite ab workout is any heavy back, leg or basically any heavy workout period; the abs are involved in every lift we do! Coherent and relevant response to question posed. Sentence and paragraph structure vary greatly in quality. Sequence is logical and complete, but content is thin. Comments: This article was a coherent and very readable. The introduction was coherent and arguably successful at peaking interest in the rest of the response. The remainder of the response was too brief. This could be considered a good effort, but lacking in quantity. Did good job of illustrating writer&apos;s favorite workout. Too brief, only 6 paragraphs. Excessive use of the first person pronoun "I". Comments: This writer did a good job of explaining this workout. The question was not fully and directly answered. The author keeps referring back to how the workout is performed without taking the reader through the remainder of the questions. This writer should concentrate on removing the first person pronoun where possible, and answering the question in the order answered. Did pay attention to the questions and the order. Provided references to reinforce subject matter. Not enough content here to make an article. Spelling, capitalization, and grammar need work. Comments: This writer paid attention to detail in answering the question. There were also helpful links provided to illustrate the exercises. A paragraph should have an opening statement in the first sentence. The body of the paragraph should support that statement and the last sentence should re-enforce it. Good descriptive answer; this writer let me feel those leg workouts. Too brief to be considered an article. Quality of paragraph and sentence structure is random. Comments: Proofreading, walking away and then coming back to it will probably be of great value to this writer. Basic skills and a conversational style are in evidence. Practice, practice and more practice will bring that out.